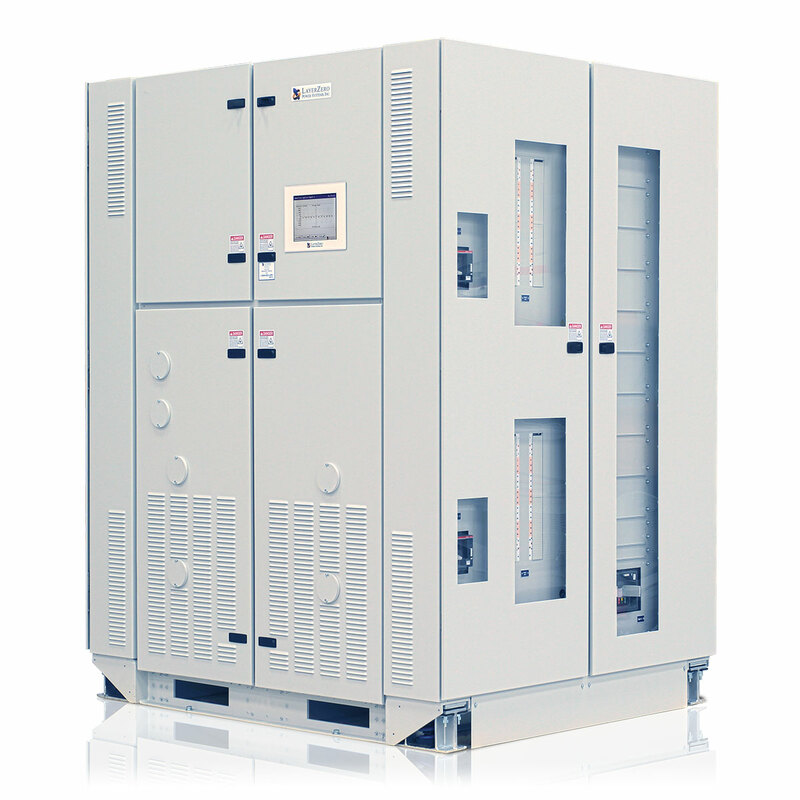 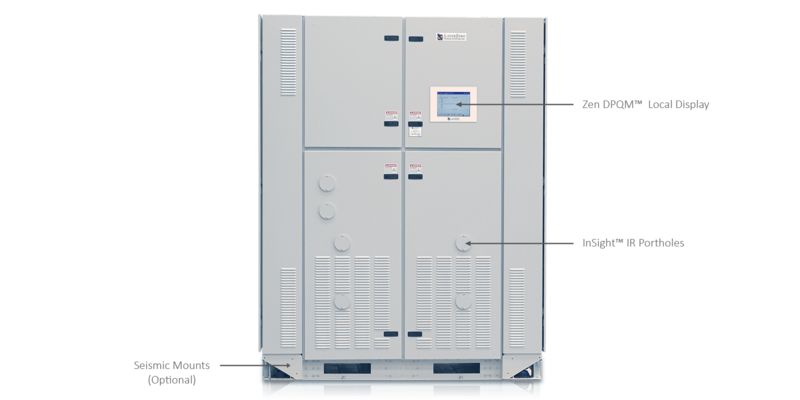 The Series 70: ePODs Type-maX is a web-enabled 300 kVA, 400 kVA, and 500 kVA Industrial Load Center containing a Transformer and SafePanel Distribution. 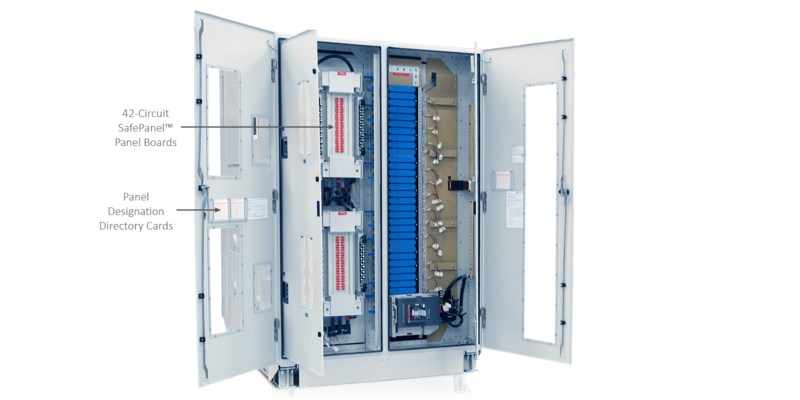 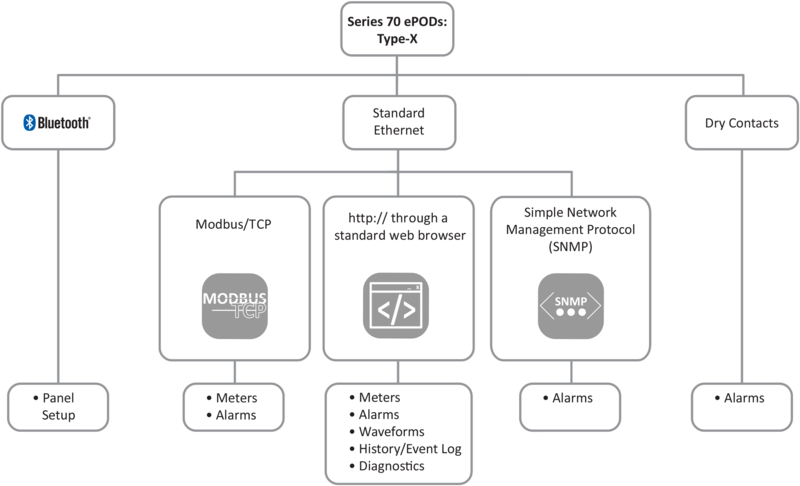 The Series 70: ePODs Type-maX is a SIMO Configuration (Single Input, Multiple Outputs), consisting of primary bulk distribution, secondary bulk distribution, and secondary branch circuit panel distribution. 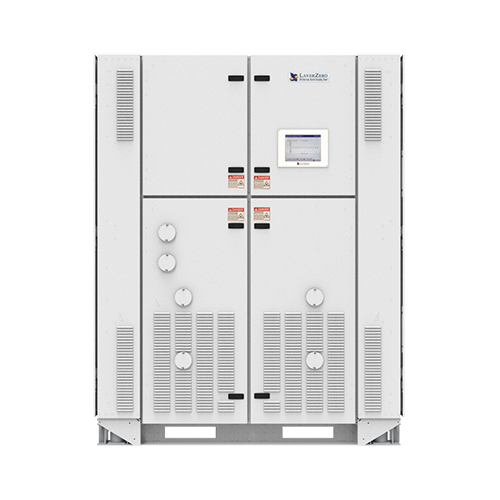 Designed for industrial operations that want to maximize the utilization of available space, the Series 70 ePODs: Type-maX is truly an all-in-one PDU. 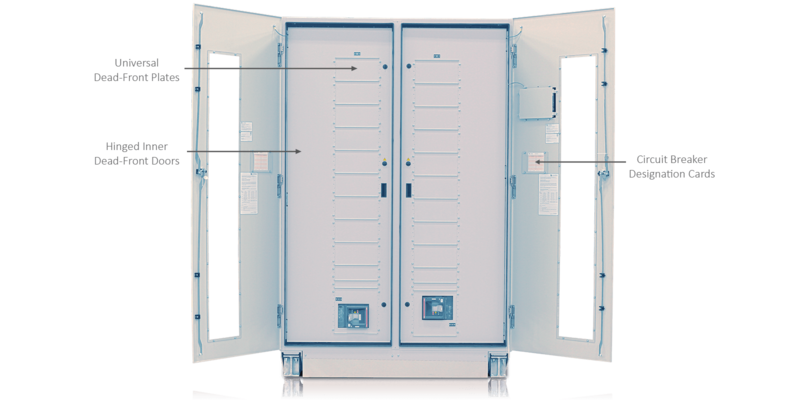 The Series 70 ePODs: Type-maX is ideal for applications with limited wall space that require high-reliability primary, secondary, and branch-level power distribution. 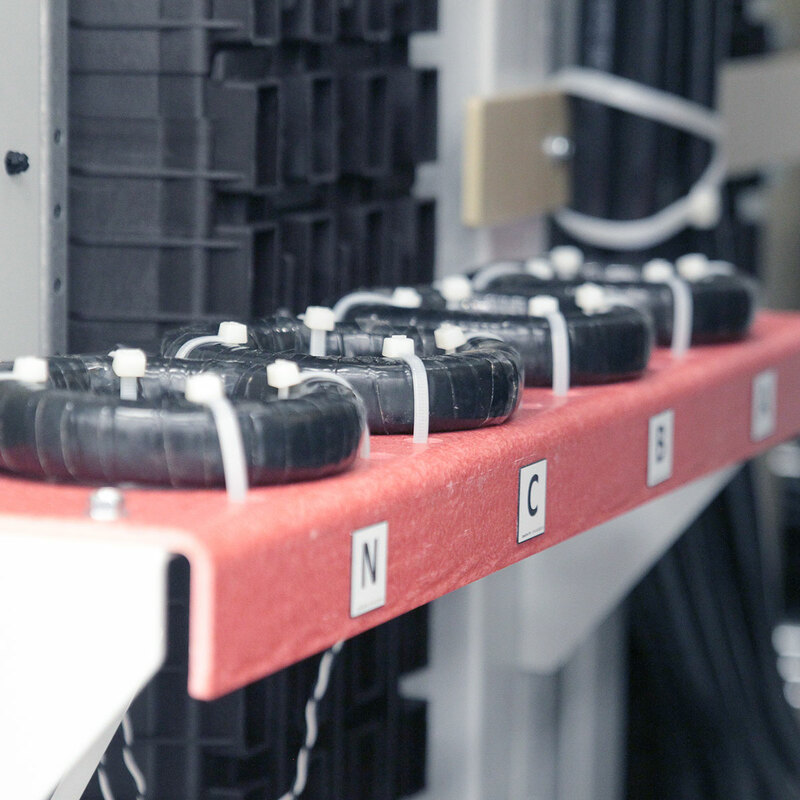 Industrial Load Centers have historically required a large amount of wall space. 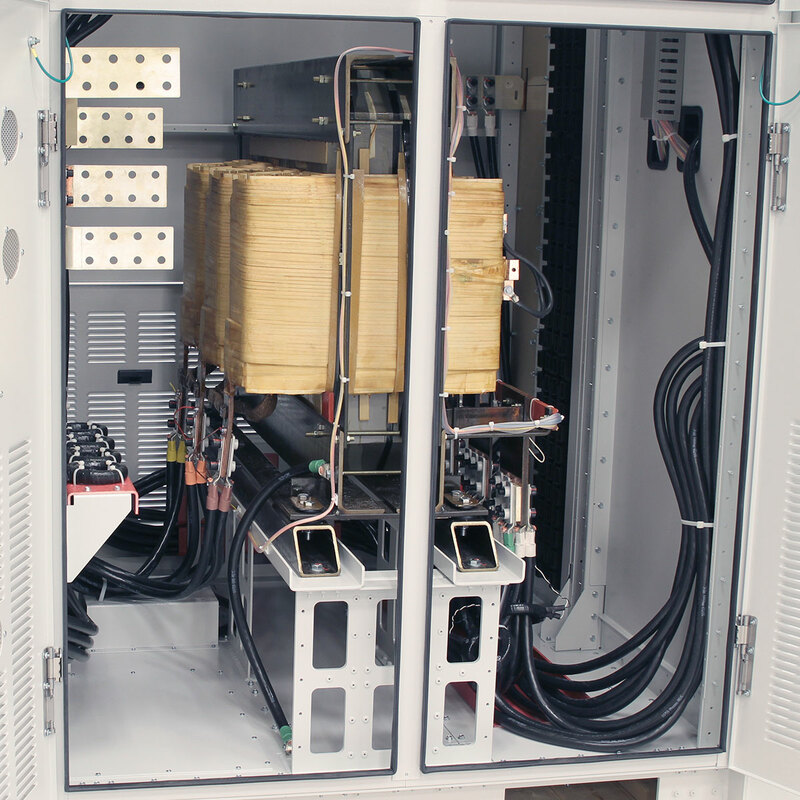 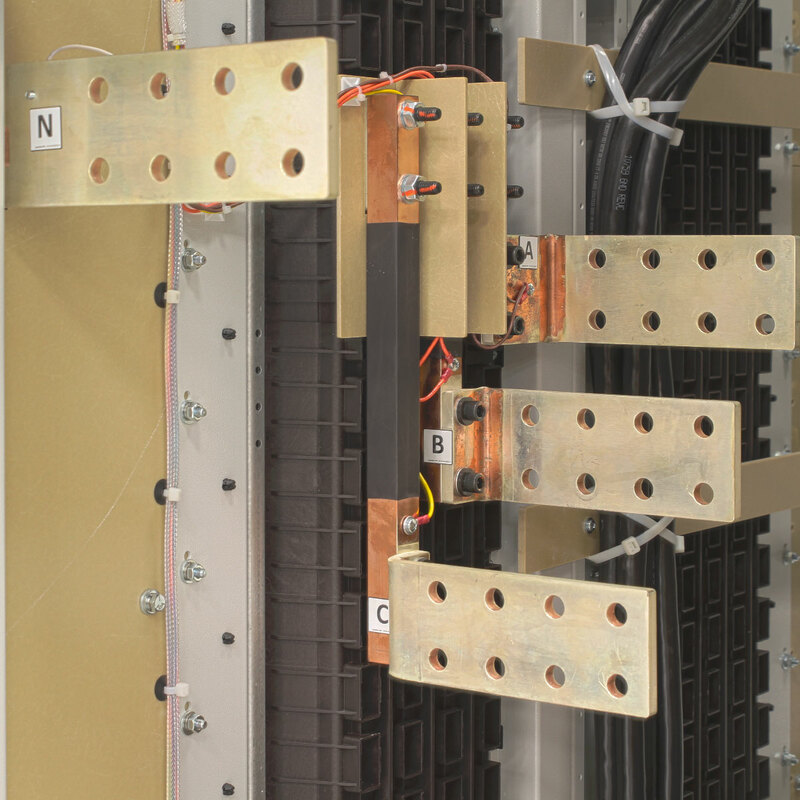 In addition, it takes a lot of work and time to coordinate the purchasing of separate panels and transformers and interconnecting the individual pieces with conduit. 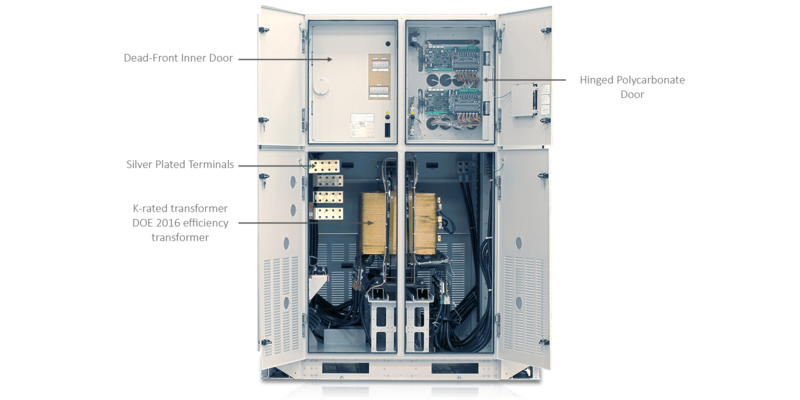 Furthermore, the inclusion of power quality monitoring for each of the components required very expensive power quality analyzers, as well as numerous Ethernet connections to network these components. 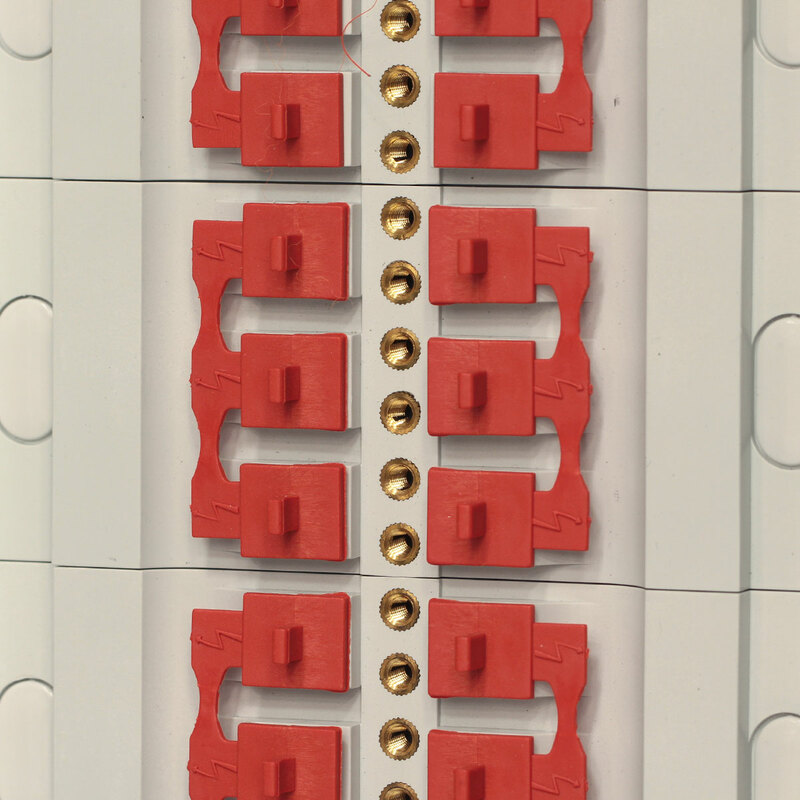 These components have traditionally contained exposed live parts, requiring bulky PPE and work permits to safely add capacity without shutting down. 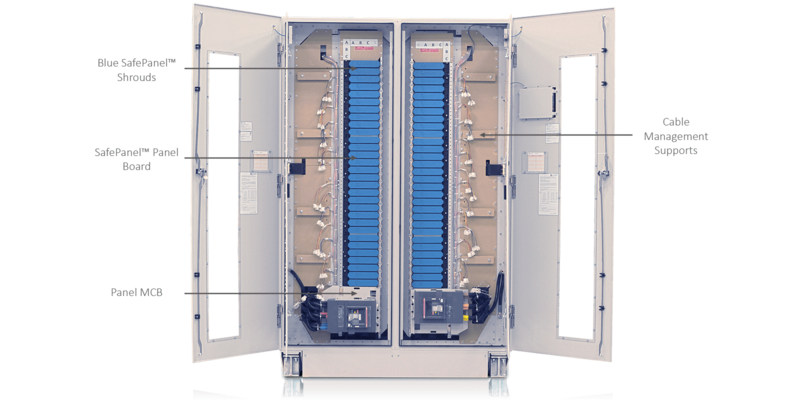 Series 70 ePODs: Type-maX changes this paradigm with an all-in-one solution that integrates primary bulk distribution, secondary bulk distribution, and secondary branch circuit distribution with built-in power quality analyzers. 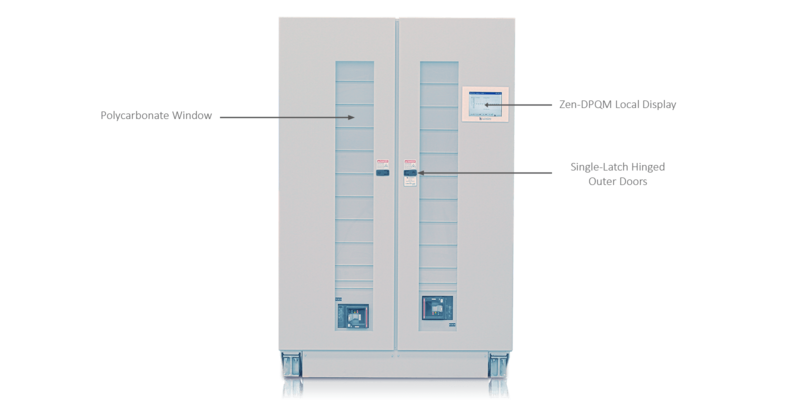 The Series 70 ePODs: Type-maX utilizes the finger-safe SafePanel? 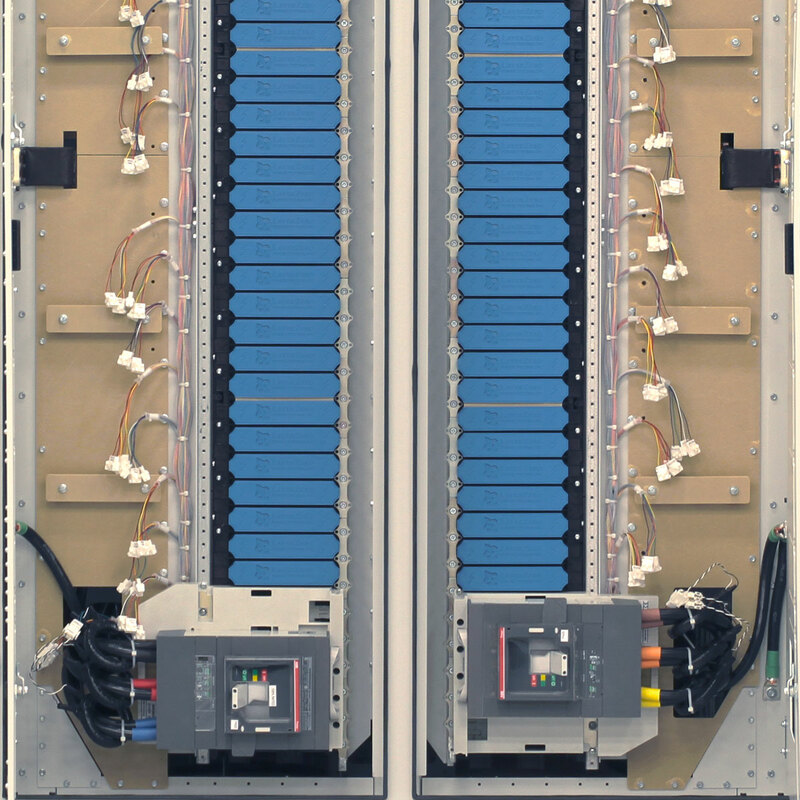 panel board, and has no exposed live parts. 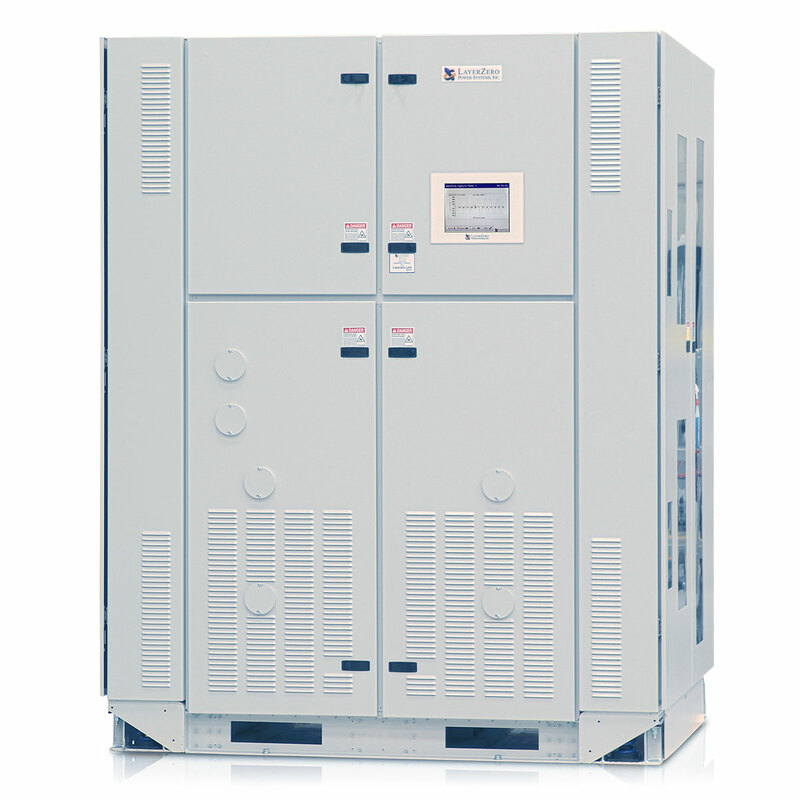 The Series 70 ePODs: Type-maX features top cable/conduit exit from the panels. 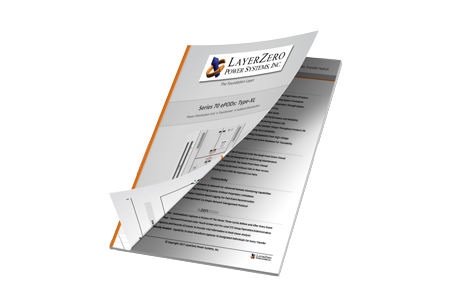 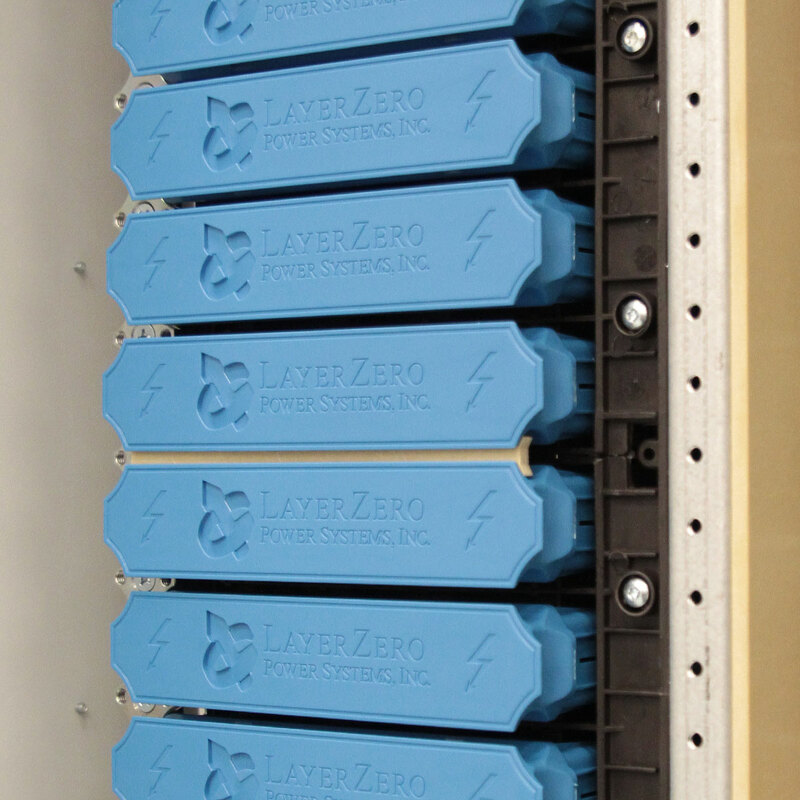 SafePanel™ Distribution is Finger-Safe and rated IP-20. 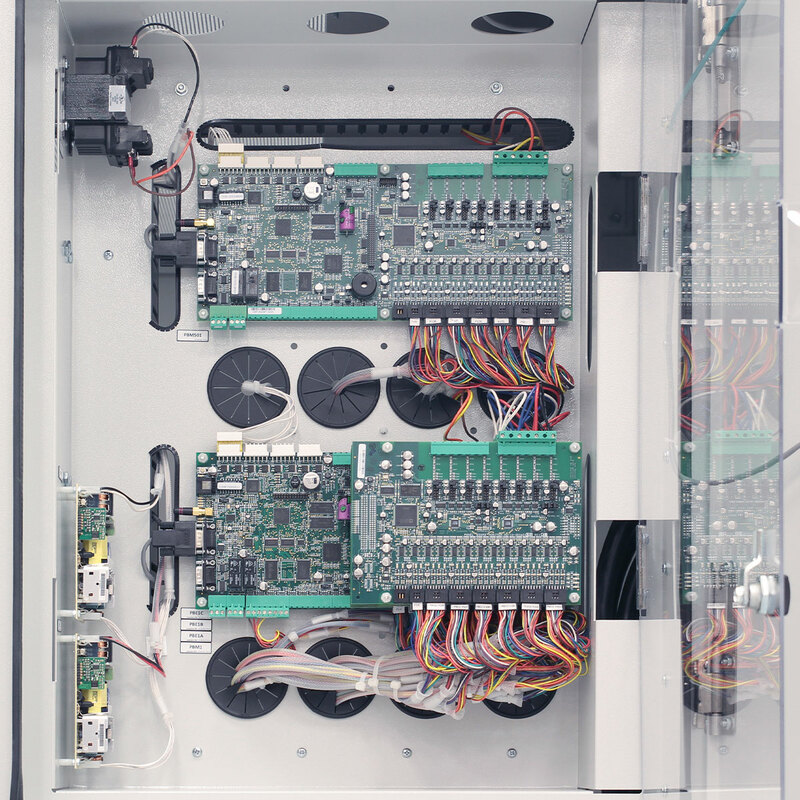 Built-in power quality monitoring, including branch monitoring and real-time waveform capture. 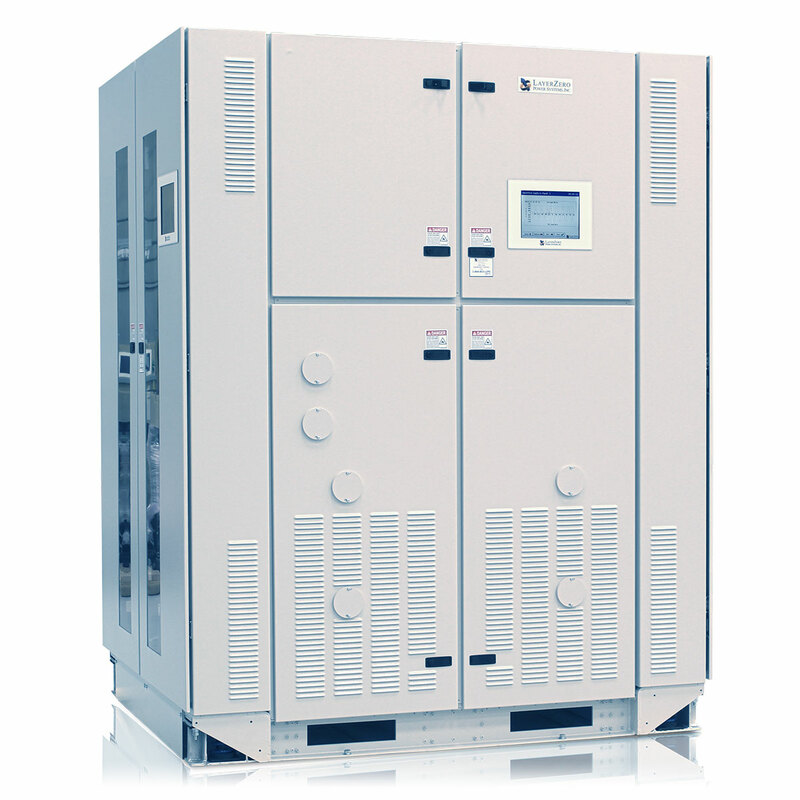 Zen DPQM enables facilities to trace the root cause of power quality events. 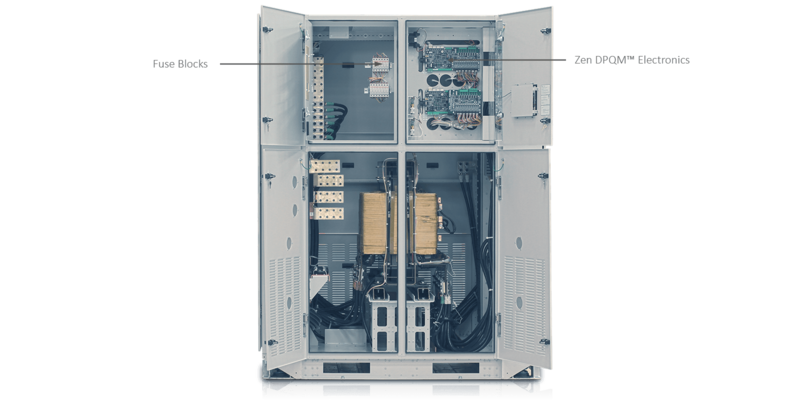 There is no need to add-on expensive power quality analyzers, ePODs: Type-maX has advanced power quality monitoring functionality built-in.